Centipede Sod is Available for Pickup, Delivery or Installation. 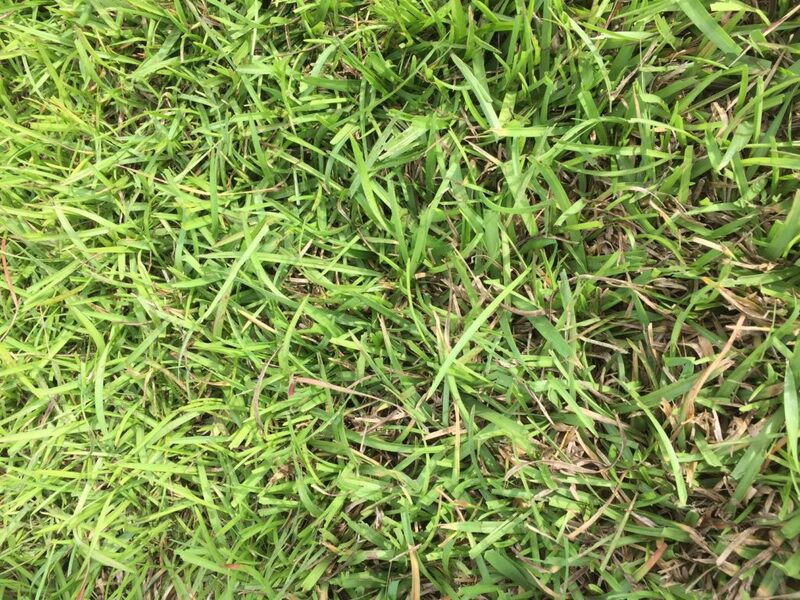 Centipede sod is slow-growing and grows close to the ground. It does well in non-fertile, acid soil (pH 4.5–6.5) and has a fair shade tolerance. One of the most popular grasses in the panhandle, but also does very well here in Marion County and North Central Florida. Once established, it can rebound after brief droughts. If located in full sun, irrigation will be needed at least once a week. Centipede spreads by above ground stems called stolons. Maintenance and fertility requirements are low compared to other turfgrasses. Water new sod daily for 20-30 minutes for 3-4 weeks to assist root establishment. Wait to mow the sod until the roots have begun establishment in your ground, so you don’t shift the pieces of sod on the ground. Centipede does not respond well to fertilizer, especially nitrogen, which makes it susceptible to disease. Phosphorus depletes its iron levels. Overfertilizing with nitrogen to obtain an unnaturally dark green color reduces its cold tolerance and increases long-term maintenance issues. Best to use phosphorus-free fertilizer such as 15-0-15 with about 2 pounds of nitrogen per 1000 sq ft.
Once rooted, best to keep the height between 1.5 to 2″ which helps give roots a chance to grow. Generally takes 1 person 1 to 1.5 hours to lay 1 pallet of grass. Our North Central Florida Location makes us short drive from the Jacksonville, Orlando and Tampa markets.